I read an article recently that suggested social media is a waste of time for law firms. This is simply not the case! I couldn’t believe I saw somebody write such a thing with really no experience around marketing on social media platforms. I look at social media as another evolution of consumer’s attention. First think way back before television when all we had was radio. Families would gather around and listen to the stories being told through the speakers with no visuals. Years later came the introduction of television, with 3 to 5 channels to choose from. Consumers were drawn in to be engaged and entertained. Years later a little thing called the Internet was created which diverted more of our attention, and this was just the beginning of life as we know it currently. Now over the last seven years roughly, there are basically four new TV channels on the internet called Facebook, Instagram, Twitter, and Snapchat. If you were an early adopter of these platforms it was easy to organically put your message in front of 1,000’s of people for free. Social media was easy! Now social media sites have algorithms in place to only show content base on if users will engage or not. This is not rocket science! Create social posts that are awesome and not average. Put some thought to how you can run multi-funnel campaigns simultaneously to have even greater results. Here are some actual organic metrics we achieved in 90 days after taking on the daily posting for a new client at the end of Q3 last year. The social sites are designed for end users, not businesses. This is why the average adult spends over 3 hours a day on social media. 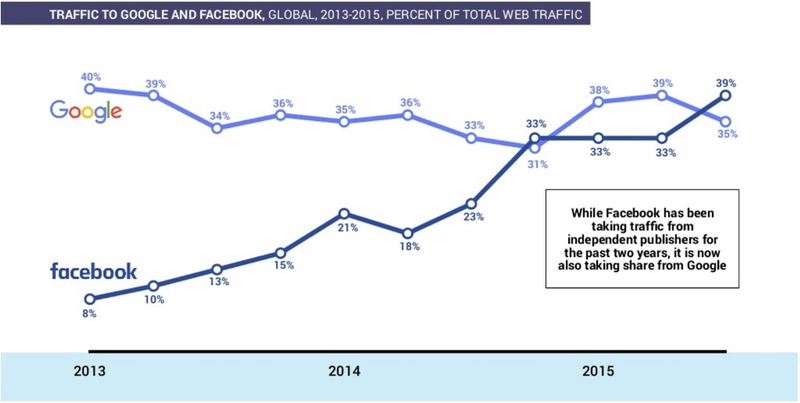 For the first time ever Facebook is now seeing more traffic than Google. Users are now asking their friends for recommendations rather than Googling keywords. Google and Facebook are expected to command 73% of each additional ad dollar over the next three years. Still think you should avoid Facebook? Let’s have a look at some numbers per platform. When it comes to the number of users and overall audience size, precise targeting parameters, there simply is no better place to be than on social media. Facebook currently has 1.23 billion daily active users on its platform and can reach 90% of adults. Instagram currently has over 400 daily active users on its platform. Why in the world would somebody suggest that marketing on these platforms is a waste of time? Here is a closer look at each platform and the reach by age group. At Twelve Three Media, we market law firms as well other types of businesses on social media every single day of the week. Do our efforts pay off? Simply ask one of our clients, and they will confirm that yes social media is successful when done correctly. Both Facebook and Instagram offer click to call functionality as well as one click messaging on their platforms. In addition to these advanced functionalities, both platforms offer in-depth analytics that can be matched up to leads and ultimately cases at the end of the month. If you are not currently getting leads from social media or seeing much success at all, the problem could be how you’re going about marketing your law firm on social media. To correctly market on these social media platforms you must first understand why and how users are using these platforms. Think of it this way, if you have a realtor that you recently bought a house from you probably do not want to see another listing until it’s time to buy another home. Attorneys are very similar to realtors in the sense that nobody wants one until they need one. I guarantee you if you use social media as a direct response platform all the time you will not see results. Those of you who are constantly promoting the fact that you handle car accident cases will not see a lot of engagement if any at all. It takes much more thought and strategy to effectively create engagement on platforms that users prefer to be engaged and entertained on. Is your content engaging? Are you entertaining the users on these platforms? Are you making content specific to each platform (Facebook, Instagram, and Twitter)? If you’ve answered no to these three questions, you should revisit your social media strategy right away. Give your users something of value and benefit. Give them a reason to care or to want to engage or contact you. Social media is hard work, but when done correctly the results speak for themselves. If you have not seen the results expected the problem could be how your social media strategy was implemented. More times than not I discuss Facebook strategies with law firms and quickly find out there is no actual strategy in place. Facebook is not a place to promote your badges (AVVO, 40 under 40, etc..). Facebook is a place you can leverage the story behind your firm and the good deeds you do as attorneys to turn people’s lives around for the better. Sure you may have boosted a post to by clicking the $20 button. This is not a social media strategy! The trick is using various targeting parameters to ensure that the messaging matches the consumer’s needs at that moment in time to trigger the call. Choosing to avoid social media is simply death for any modern-day company that is trying to survive in a highly competitive, complex, fragmented world that we currently live in. Social media is just getting started. Have you heard of chatbots yet? Did you know that you can implement a Facebook chat on your website for free? Instead of paying somebody in India $20 per chat why not have an internal staff member handle that chat via social media? This way we have the ability to speak directly to the consumer at any moment in time in perpetuity. We are now living in a day and age that’s all about convenience. You can now order flowers directly from Facebook messenger on 1-800 flowers Facebook page. We can ask Siri and Alexa basic questions and receive answers. Make sure you are paying attention to industry shifts so that you are prepared. 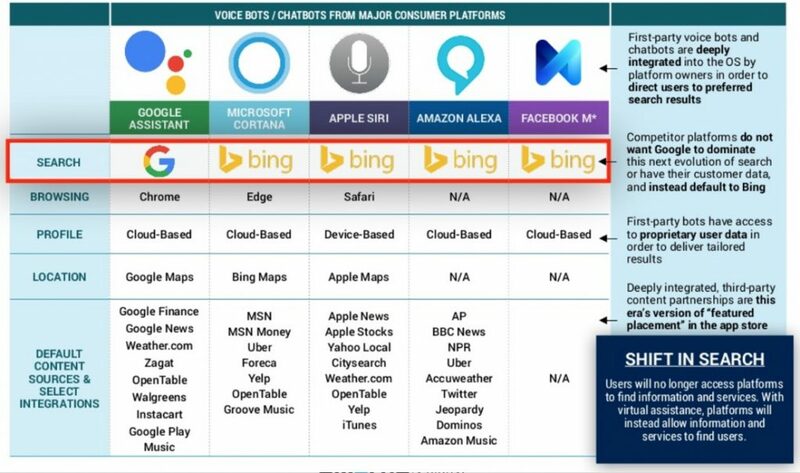 Those of you that perform SEO should pay particular attention to the search engines powered by voice bots.